GREECE AND WORLD: 600 billion Dollars deposited by abroad Greeks , to erase the debt! In a crowded hotel room at Athens the known group, E.N.D. (End National Debt - End Public Debt), composed of Greeks from all over the world, showed the public the ability to redeem, even tomorrow, the public debt of Greece. The same can be done with the debt of Cyprus. Mr. Soras and Mr. Lambrakis leading the effort END, gave the supporting evidence .They have already deposited the money namely $ 600 billion to Greece and $ 50 billion for Cyprus in banks in Toronto and Ontario respectively. According to ellinasasfalistis.blogspot.ca in their speech which was of strongly patriotic character, both Mr. Soras and Mr. Lambrakis, stressed that they address to Greek citizens, who will remain free. "This place will not fail because some want. It will remain free and will be dominated by Greeks. " Mr. Soras specifically said: "They could not go bankrupt Greece, because $600 billion is already deposited for the Greek Republic with some terms. The main condition - term is to be a thorough audit of where the money went. For me something about it is very wrong. And those who "cooked" the deficit account will be accountable. With interest, the one who brought the country here, what evil has been done in the country with his signature. " Mr. Soras even mentioned that in the memorandum which was signed by Mr. Papandreou with Mr. Papankonstantinou, debt acquisition from third countries was prohibited. "No one can buy off the public debt of Greece neither Russians nor Chinese nor anyone if it is not Greek. This was probably not predicted by the lenders because they might thought, Is there a Greek with so much money to pay off the debt of Greece? Well, we say, we are here, we are Greeks and the money is there and we have it already submitted. " 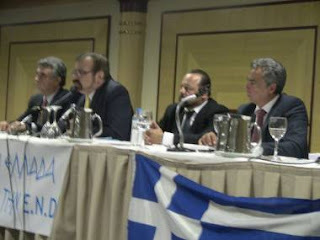 The Chairman of the END Mr. Lambrakis medical surgical professor, stressed that E.N.D. was invited a few days ago at the UN team from African and Caribbean countries, where they presented their program. " We got 24 applications for funding states with interest rate 0.5%. This rate is symbolic to justify the loan otherwise it would be considered donation and there will be other issues. For Cypriots who are enslaved, under occupation said, the rate will be 0%. And we deposited the money in Canada. The 600 billion for Greece are also reserved. And verified as genuine." An important issue that was raised by Mr. Lambrakis and which made a big revelation for the very debt of Greece. "We were asked why we intervene now. Greece is likely to default in the coming days and you are not told so. The 31.2 billion will go to market. It Is money from bond Greece owes to a private since 1982 and the Greek government is "burned" to pay, and if the government does not have the money from 4-14 October then Greece will go bankrupt. " 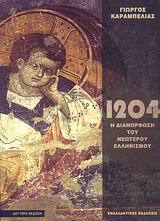 Mr. Lambrakis continuing said: "Our triptych is Hope, Justice, Paedia (tr. education). We do not favor any party nor represent any religion. We are above all Greeks. If Orthodox priests put Orthodoxy first and then Greece, they will find us opposite. If leftists put their ideology first and after Greece wewill be against them. The same applies to the Golden Dawn. First and foremost, Greece. " PS. recent news report that the Republic of Cyprus is in talks with the leadership of the E.N.D. 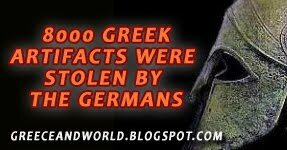 Greek governments, are nothing else than disgraced traitors, thieves and murderers. People vote for them and trust them because they have the good will to do so and that is an ongoing thing that has been going on for centuries. 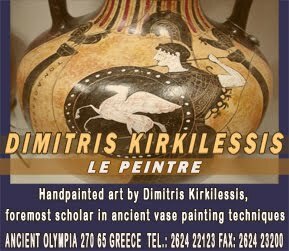 Greek politicians are bastards who have no honesty, dignity and pride and they "convict" people who have trusted them (by voting for them), into a starvation, ready to sell them out to German, American, English, French and other big multinational companies. 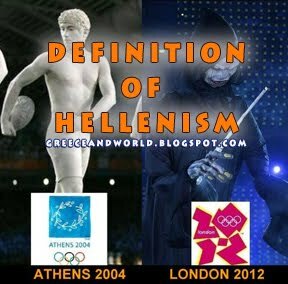 They are ready to sell all Greece out, Acropolis, Parthenon, ministries and "PRIDE". They only deserve to be hung at the centre of Syntagma square, be spat and killed for betraying their own country. I am a Greek person that have been living in England for the last nine years. What can I say? All governments are ruled by all the big trusts and imperialism and them too, politicians, bankers and other "sharks" work together. Rich become even richer and all the others become even much poorer. Greek governments are nothing else than thieves, arse lickers and have no dignity or pride. AT ALL. It would be wise to to exterminate them. Exterminate them preferably publicly to give the good example because this is the only good example Greek governments can give. ...You should see them on TV today. There was a politician from the governing party that would not let them do any talking. All of you out there, support the due diligence of END. Thieves go to jail, now is the time. Since 1974 there's been a flow of corrupt / compromised politicians that brought Hellas to the sad state it's in now. The corrupt system is now trying to silence anyone who's asking for an investigation of its past. A referendum should be called in Hellas, demanding a full on investigation of the dirty past of governments, individual politicians, and bureaucrats in the public service, and their immediate relatives, as far back as 1974. An amendment to the constitution should be made to allow prosecution of guilty parties, beyond the five year indemnity that currently applies. We need to see proof of the existence of the money first. If they have deposited the money then they should have ordered the BANK which holds them to be FREE TO ANNOUNCE THIS to the Greek people. Anthony Diamond has ruined many people's lives with his lies and he is facing may trips to jail for his contempt of court. It will increase from 21 days already served to now 42 days to 6 months to 1 year to 3 years and every time he will face the same questions and will not be able or willing to answer them. He will continue to face increased jail time being in contempt of court because if he answers the court questions he will face 5 years in jail for fraud. He is a sick man who believes his own lies. He tells people he is a lawyer and has a criminal record for over 20 years which means he can not be a lawyer with a license. He is the laughing stock of the Greek community. Our biggest shame is sharing our proud history with this animal. If this is serious, you need to clarify a few issues. "A bank in Ontario", which one is that. Toronto is Ontario too. What are the names of these banks? How are the negotiations handled. Normally if you want to save a country (or company) from bankruptcy, you negotiate with the creditors about payments and terms. Not all of the debts are paid back, I suppose. When the deal is done, I would advise to eliminate all foreign banks in Greece and install a Greek National Bank. It is also advisable to make sure the collateral (oil, gas, harbours, etc.) will be rearranged and resored to the people. The parliament and government should be disbanded and a High Commissioner of Greece to organise the new Greece. Greece could issue a new national currency, trade in and abandon the Euro, leaving the European Union. Establish an Economic Union with neighbouring countries. END should negotiate (and perhaps the process is already almost finished) a free country as an example for many more countries. Banks are 100% unnecessary counter-productive parasitical entities and have nothing to do with real money. 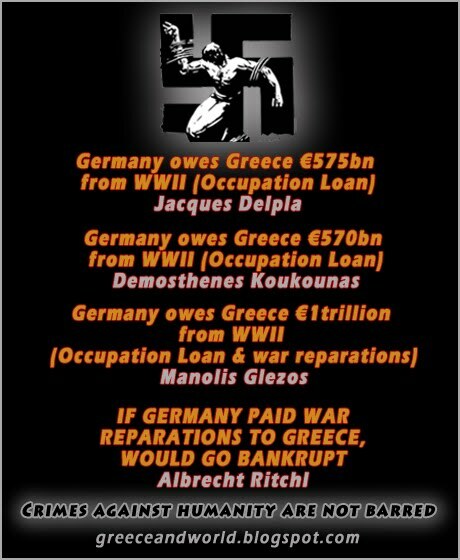 I sincerely hope this operation succeeds, next will be t5he German debts to Greece as a result of WW II. Anthony Diamond is in jail . Where is his money to save him? 600,000 would save him out of his 600,000 billion . Guess bank fees are not worth the cost and he would rather spend 42 days in jail. In the 28th of June 2013, was the trial of Mr. Adonis Georgiadis (Minister of Health) and Mr Dalavigka (journalist) against Mr Artemis Sorras and END. The court's decision is not GUILTY (in favor of Mr Bulk and END). The prosecutor's office asked the Minister of Finance, President of the Bank of Greece and each member concerned to apologize why they have not credited the Greek account through this ammount of 600 billions $, which had been made before nine months. In short, the court upheld the deposit of € 600 billion in the name of Greek democracy ...! Please inform your readers. Thank you. Buzz marketing is a viral marketing technique that attempts to make each encounter with a consumer appear to be a unique, spontaneous personal exchange of information instead of a calculated marketing pitch choreographed by a professional advertiser.